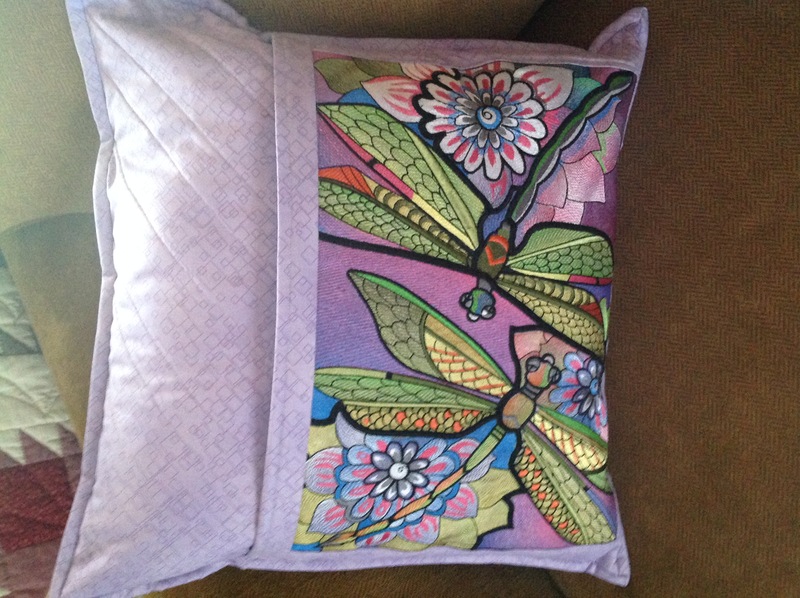 Hi Suz, Finished the pillow and it turned out fantastic! This is one beautiful design and I had no problem stitching it out. Thanks so much! I LOVE this pillow!!!! Not only because it is so beautiful, but because it opens so many opportunities to use designs that aren’t square to make pillows. you could use an appropriate design to go across the lower part of the pillow and make it a pocket. I can see tucking something like a tissue in there – or a favorite magazine! Great and very creative job, Chris. Hi Chris love your pillow did you put the pieces together on your reg sewing machine ?